Marcia J. Avedon’s role in the creation of a spin-off company proved how vital it is for HR executives to have a firm grasp of their business’s business. This article accompanies The Re-inventor. If you had to choose the color of a new company’s logo, what would it be? For Marcia Avedon, senior vice president of human resources, communications and corporate affairs at Ingersoll Rand, that question was perhaps the least worrisome of all the ones facing her after she was asked to lead the company’s effort to spin off its $2-billion commercial and residential security businesses into a stand-alone public company. It was late 2013 when the Swords, Ireland-based diversified industrial company (with its U.S. headquarters in Davidson, N.C.) decided to create the new company, and Avedon — who has been with the company in her current position for the past eight years — was well aware of the challenges that lay ahead. The manner in which she rose to meet those challenges is largely what landed her a coveted spot on this year’s HR Honor Roll. Avedon led the HR work to create the new company, which encompassed organizational design, compensation and benefits-program design, as well as selection of the new company’s CEO, leadership and board members — including one position particularly close to her. 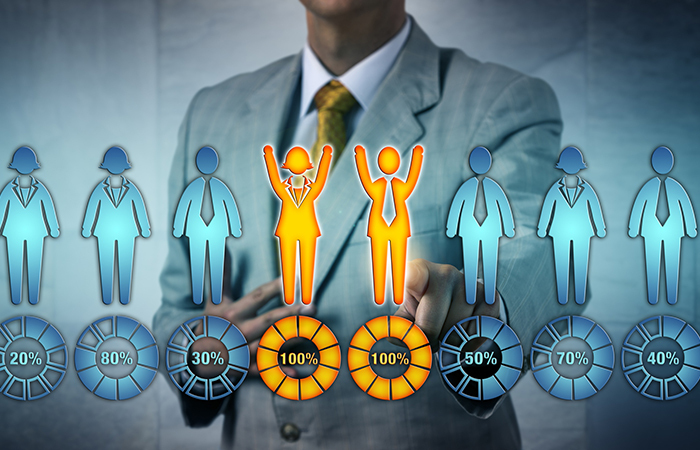 “The new CHRO had been one of my direct reports,” she says, “so that speaks to our succession planning,” adding that IR’s deep bench strength meant it had workers ready to be in those roles for the new company. In order to establish a sense of “independence and autonomy” from the parent company, however, Avedon says, it was vital to fill the new board of directors with people without any ties to it. She also led the corporate-identity and brand creation for the new company and comprehensive communications plans, including the aforementioned color choice. “We had responsibilities for that whole process of, ‘What are we going to call it?’ and ‘How do we bring it to life?’ “ she says. Among all the other decisions made, Avedon’s team selected the name Allegion along with a vibrant orange hue for the new company’s stylized “A” logo. So how were her efforts received on Wall Street, the ultimate measuring stick of business acumen? Concurrent to the spin-off, Avedon also worked with IR’s CEO and executive leadership team to determine the new organizational design that would enable a refreshed business strategy. The new design restructured the company into 11 strategic business units, designed to strengthen customer focus and market agility, while reducing management layers and increasing efficiency. During 2014, the first year of the company’s new model, Avedon and her team acted to ensure organizational effectiveness through change by heightening an emphasis on leadership development, employee engagement and communications — connecting leaders and employees alike to the company’s purpose and goals. She discounts the commonly held myth around employee engagement that, when a company is going through big changes, engagement levels are going to go down. She attributes the increase to three factors: a “doubling down” on holding leaders and managers accountable for engagement; a five-year focus on company efforts to be “progressive, diverse and inclusive;” and a change in how the company thinks about engagement and its impact on business — e.g., lower accidents and higher customer satisfaction. As evidence of that belief, Avendon’s tenure coincides with the company’s appearance at No. 1 in its industry by Fortune magazine’s “World’s Most Admired Companies” list, as well as being named one of the best companies for leaders by Chief Executive magazine, among other accolades. She also says her view of HR’s impact on an organization has evolved along with the discipline itself. For his part, IR Chairman and CEO Michael W. Lamach says Avedon has transformed the HR function to a mature, global, world-class organization. The 2017 class of the NAHR reflects on the competencies HR leaders will need to impact their organizations. Learn to set consistent, high-quality standards for coaching.